Sorry I have not been updating with new posts as frequently as usual recently! 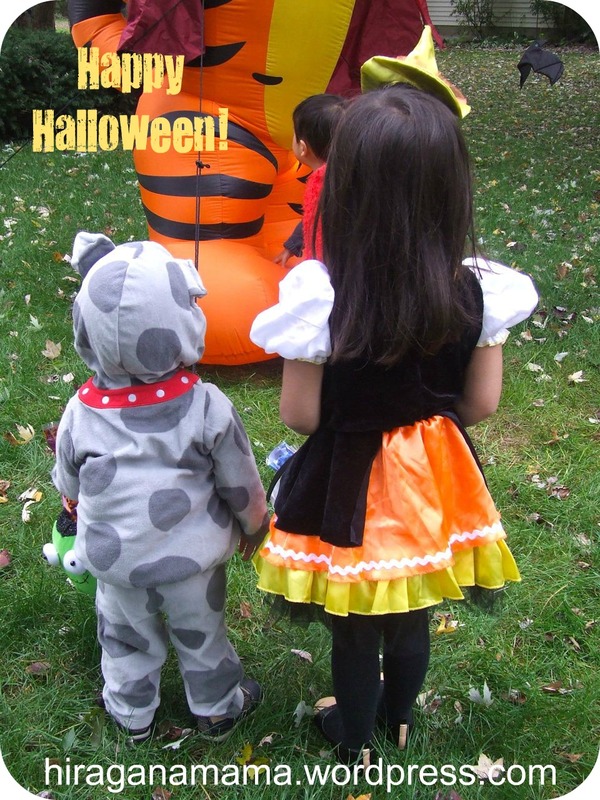 Between the two kids, we have 8 Halloween parties this week! Not to mention I am in charge of our church’s Trunk-or-Treat/Chili Cook-Off this weekend and lots of other things are going on. You know how it is though, right? Life with kids is crazy… but usually crazy fun! Don’t forget to scroll down to see my post about Halloween in Japan! Cute Halloween costumes :)! By the way, happy Blog anniversary, I have especially enjoyed your food and recipes section! Great costumes… and I’m sure the front-side was only cuter! Nice one. Hope you had a good Halloween. And of course HAPPY ANNIVERSARY! thanks! Do you celebrate Halloween in Australia?